In the latest stunt video, director James Bamford takes viewers through some of the incredible stunt sequences in Code of Silence. In the “Bringing down the building” sequence James points out the practical effects going off around actors Katie Cassidy and Paul Blackthorne. Yes, it’s the actors themselves. When BamBam told them what he had planned, they both said “anything for you”! That speaks to the respect they have for James and their confidence in his ability to keep them safe. James also discusses the setup for the huge motorcycle jump. 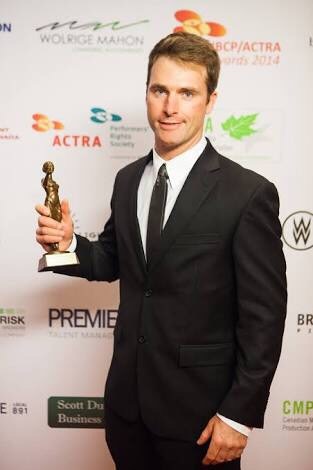 Stunt performer and back-to-back UBCP/ACTRA Award winner Leif Havdale donned the Arrow suit for the sequence. Under the watchful eye of OnSet Stunt Co-ordination Eli Zagoudakis, Leif practiced until he got the ramps about 80 feet apart. James tweeted me there was a slight scraping sound as he went under the bridge, but all was good… Amazing!